SACRAMENTO (July 2, 2018): The U.S. Department of Housing and Urban Development (HUD) released its Notice of Funding Availability (NOFA) for the 2018 Continuum of Care (CoC) Program Competition on Wednesday, June 20. In Fiscal Year (FY) 2017, service providers in Sacramento county received $20,180,083 in funding through the CoC Program for housing and services for persons experiencing homelessness, as well as for some of the infrastructure to support our system of care. 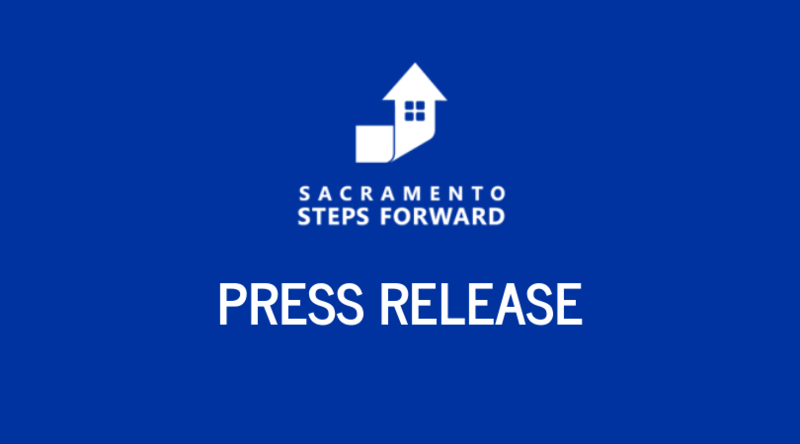 Please join Sacramento Steps Forward for the mandatory informational Technical Assistance (TA) Workshop on Monday, July 16 from 9 a.m. to 12 p.m., with the last hour dedicated to training on eSNAPS, HUD’s online application tool. This workshop will provide attendees with an overview of the local application process, as well as instructions for completing the local and project applications. Information will be provided about renewal project applications as well as applications for new housing projects through reallocated and/or bonus funding. In addition, there is new bonus funding for applicants serving survivors of domestic violence, dating violence, sexual assault, or stalking (DV). We encourage all organizations interested in applying for CoC funding to attend, including organizations that have not previously received CoC funding. Monday, July 16, 2918, 9 a.m. to 12 p.m.
Further information regarding the Sacramento CoC NOFA local process, including key dates, is below. Please find a summary of the 2018 Sacramento Continuum of Care NOFA here. Please contact sacramento@homebaseccc.org with any further questions. The following overview provides information about the local process required by HUD as part of this competition, including key dates. You can find more information about the 2018 CoC NOFA on HUD’s website. *HUD has set aside $50 million for DV Bonus projects, which will support RRH, joint TH-RRH, or supportive services only projects for coordinated assessment, to serve survivors of domestic violence, dating violence, sexual assault, or stalking. The CoC may apply for up to 10% of our Pro Rata Need. HUD has not yet provided the Pro Rata Need, so the estimated funding is not available yet. July 16, 2018 – 9 a.m. to 12 p.m. This workshop will provide attendees with an overview of the local application process, as well as instructions for completing the local and project applications. All prospective applicants should attend. Please RSVP here. Local proposals due. Submissions will occur online. Rank & Review Panel meets to review and discuss proposals, score them and determine recommendation on how projects will be ranked in the 2018 application. Appeals due: All appeals must be submitted to HomeBase. Please contact sacramento@homebaseccc.org with any questions or concerns.